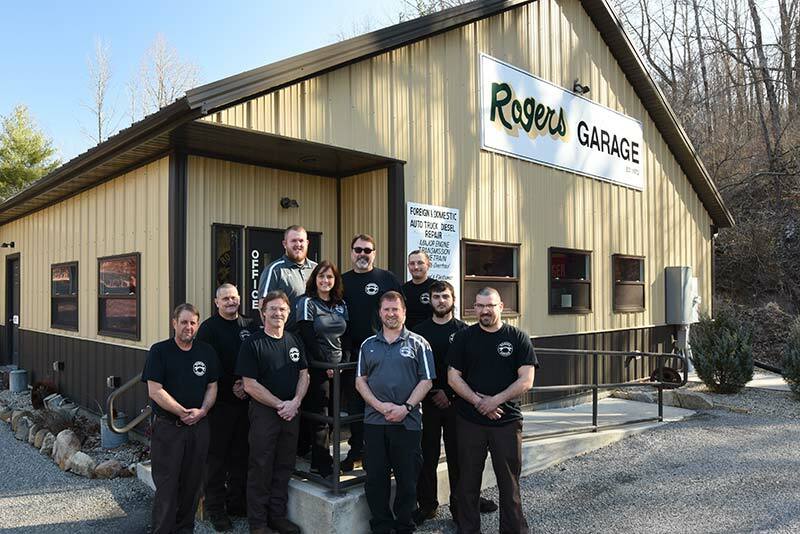 For honest, affordable, and reliable service for your vehicle, come to Rogers Garage and find out why our family owned and operated facility has been the Springfield area’s go-to auto shop for over 45 years. We are not your typical auto repair shop. From tires and routine maintenance to complex repairs- we do it all! From our experienced ASE certified technicians, to our friendly and knowledgeable service advisors, we are dedicated to getting you back on the road as soon as possible. As your dealer replacement, we utilize the latest technology and diagnostic equipment to properly service, repair, and maintain all vehicle makes and models…whether you have a 1955 classic or a 2017 hybrid. At Rogers Garage, our customers come first. Let us earn your business today! Thank you for taking care of my 2010 Malibu water pump. I felt confident in your work and am pleased with the pricing. I am glad that I now have a garage I can feel comfortable with for all my future car needs. Thanks for the great experience. Thinking of you and thanking you for the great work you did on our Pontiac Montana van. It's running smoothly and safely on the new tires. I will be calling for a fall 'check-up' soon! Can't say enough good things about this place. They've always been honest with us and I feel like they've gone above and beyond to make car repairs as easy as possible. Won't go anywhere else! You guys AGAIN did a GREAT job for us! My little Neon loves you and I appreciate you taking the time to mess with it twice in a 2 week span to get it running great! We appreciate you more than you know and hope that God blesses your business! You can rely on our repair shop for a wide range of services, including brake repair, tires, electrical repairs, general automotive maintenance, transmission service, and major engine repairs. We promise to offer all of our comprehensive auto services at a fair rate and get you back on the road as soon as possible. Need an estimate? Have a question about services? Want to schedule an appointment? Contact us today!